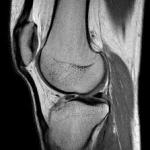 The Musculoskeletal imaging division specializes in the interpretation of a wide variety of radiologic studies focused on evaluation of the musculoskeletal system: conventional radiography, computed tomography (CT), magnetic resonance imaging (MRI), and ultrasonography (US). The division has specific expertise in sports medicine, rheumatology, orthopedic oncology, and trauma. A variety of fluoroscopic, CT, and US-guided interventional procedures are also performed by this division. The most common procedures performed by the division include bone and soft tissue mass biopsies in the extremities and spine, bone marrow aspirations, joint injections/aspirations, and intervertebral disc aspirations. In addition, we offer radiofrequency ablation of osteoid osteoma and a variety of US-guided tendon and nerve procedures. The Musculoskeletal radiology division includes five attending radiologists, three fellows, and two or more residents rotating on service. Members of our division are available for consultation on any clinical case and provide immediate interpretation and consultation services for the Department of Emergency Medicine. The imaging work is performed on state-of-the-art CT, 1.5T and 3T MRI, and ultrasound machines. To schedule an appointment with Musculoskeletal Imaging, please call 984-974-1884.